ACE ATV is proud to announce we are now able to offer the supply and fit of our own FOXBOSS silencer. 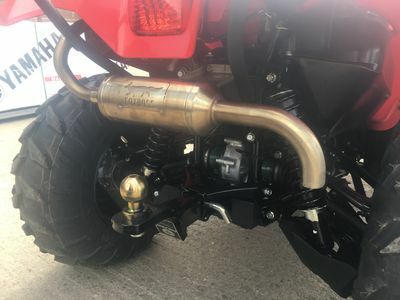 After years of struggling to find the right silencers for our ATV/UTV range, Murray decided to design his own ‘FOXBOSS’. The FOXBOSS is compatible with popular all HONDA, POLARIS, YAMAHA and SUZUKI models. The FOXBOSS is perfect for sneaking up on pesky predators, vermin, rabbits and even game! Or if you have an operating noise issue the FOXBOSS is the perfect solution! 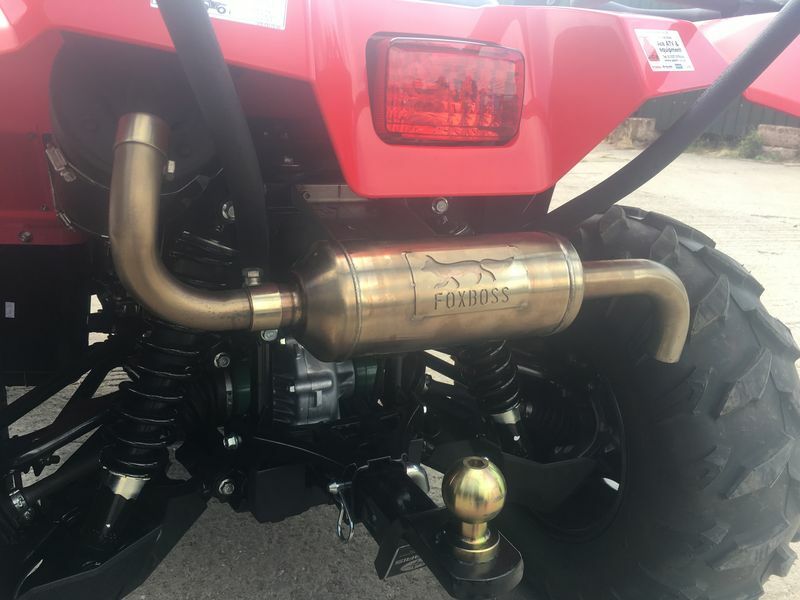 Fit a FOXBOSS silencer to your ATV/UTV to reduce operating noise by at least 40%. On a Yamaha Kodiak 700 the noise is reduced from 106 db to 77db. 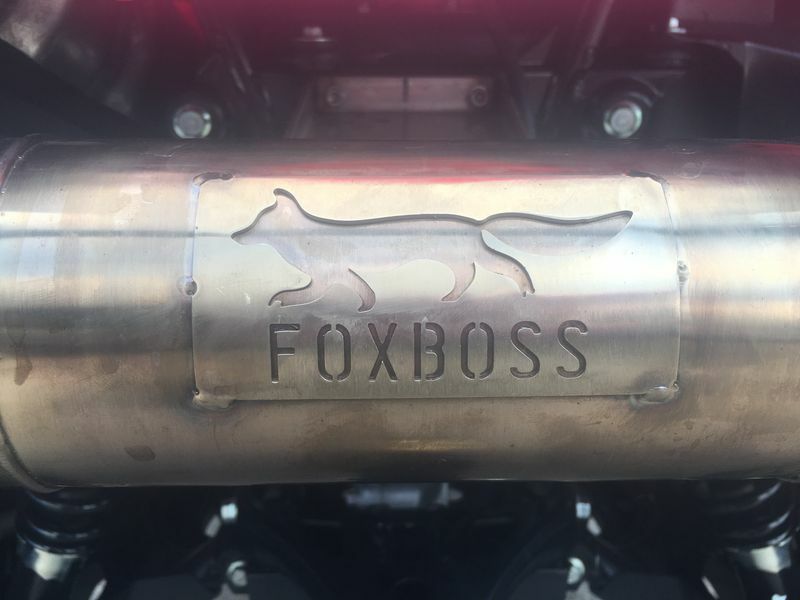 The FOXBOSS is made from T304 stainless steel and tig welded, FOXBOSS is an auxiliary muffler that when attached to your exhaust system quietens the popping noise of your ATV/UTV’s stock muffler alone. It is easy to install and remove, giving you the flexibility to stalk your target in stealth, or have fun being loud. With the FOXBOSS installed, you can ride closer and walk less. 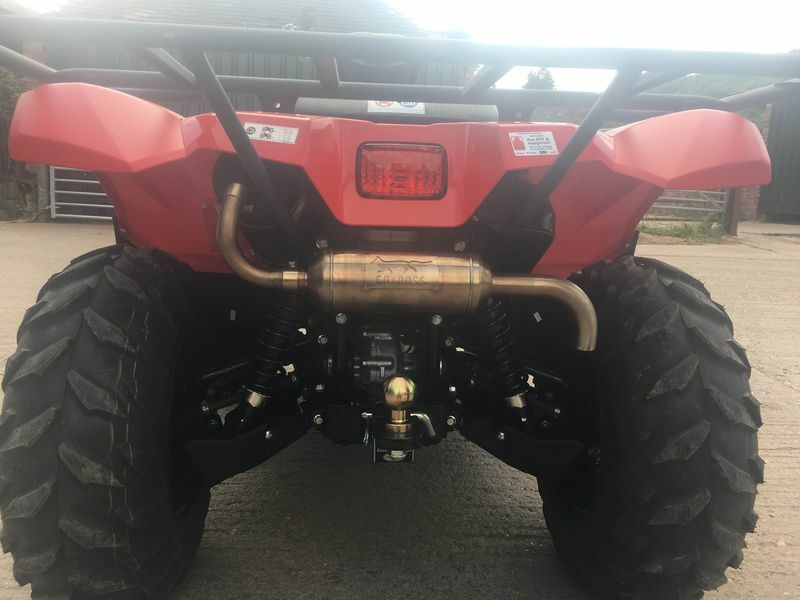 With this system fitted the sound travels a much shorter distance away from your ATV/UTV. Please follow the link below for a before and after on a Yamaha Kodiak 700.